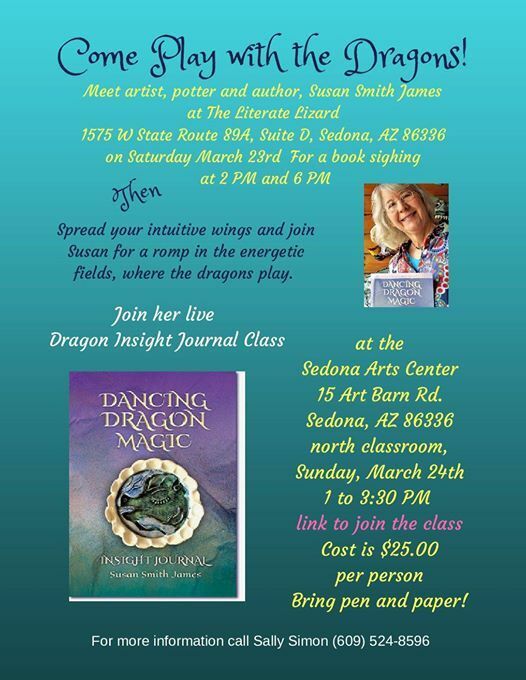 Spread your intuitive wings and join artist, author and potter, Susan Smith James and her playful dragons introduced to us in her book, Dancing Dragon Magic: Dialogues in Clay, for a romp in the energetic fields, where the dragons play, for her Live Dragon Insight Journal Class! "Meet" the magical elemental dragons that inhabit another dimension similar to earth. 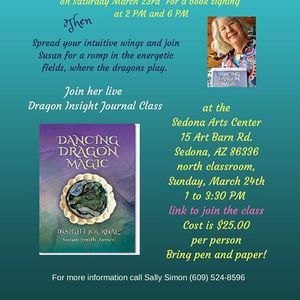 You'll meet the Sun Dragon, the Moon Dragon, the Day Dragon and more! Gain new awareness’s and let these new friends dance their way into your heart forever. Bring pen, paper and your willingness to play! We can't wait to meet you!